Charles A. “Chuck” Donovan | May 11, 2016. A federal district court in San Francisco complied with NAF’s demand to block release of hundreds of hours of videotape, and a federal appeals court panel will soon decide whether to dissolve that court order and allow these tapes to be seen publicly, or to affirm the order and keep the content of the videos from public view. 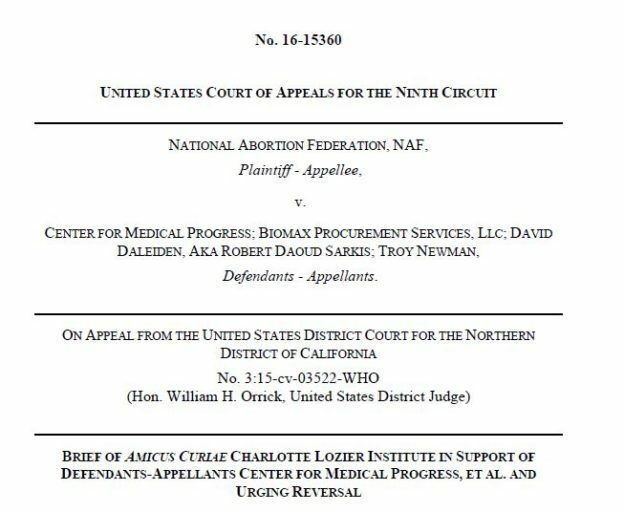 CLI’s and AUL’s exhaustive legal brief examines everything that has already happened in light of the release of other videos CMP has made of the abortion industry and its practices, pointing out the depth of public concerns and the multiple hearings, votes, legislative remedies and other steps that have been taken or proposed to address the profound issues the videos raise. This compilation contained in the legal brief demonstrates the public interests at stake and should encourage the general public about the impact of this debate and the efforts being made to ensure that no industry in America can stifle information about its practices that skirt applicable law and affront the most basic level of decency. CLI will continue to partner with outstanding organizations like AUL to affirm the value of every human life and to promote respect for life in science and medicine. 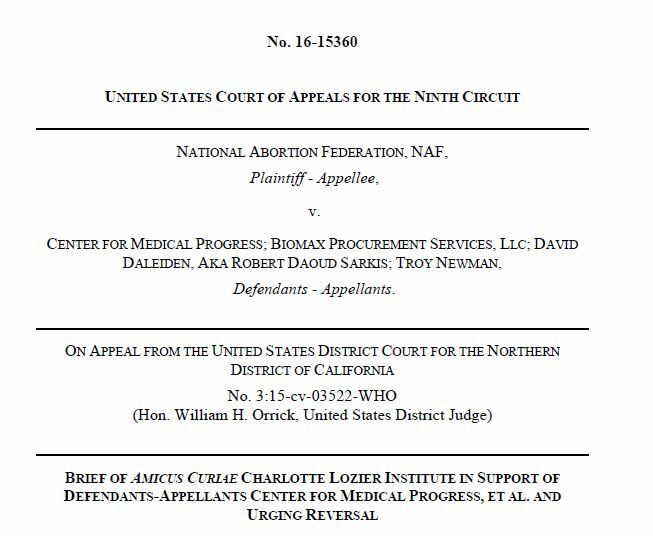 To read the full amicus brief, please see HERE.